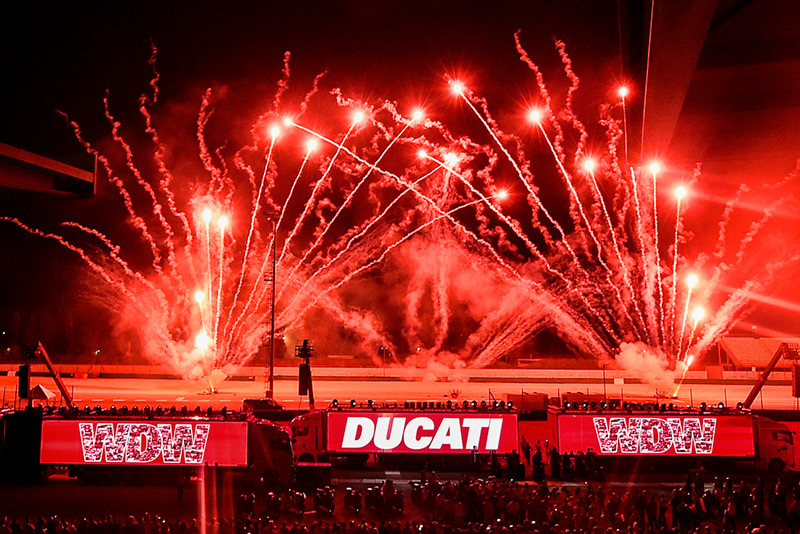 From 1 to 3 July, the Misano World Circuit “Marco Simoncelli” will host the bikes, riders and Community of Ducati fans as they come together to celebrate the 90th anniversary of the motorcycle manufacturing company. 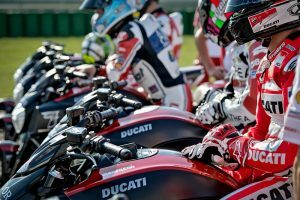 A unique occasion in which to meet champions such as Dovizioso, Stoner and Iannone, test the new bikes whether on track or off-road, participate in the first Ducati International Bikers Games, watch shows by top stuntmen and much, much more. 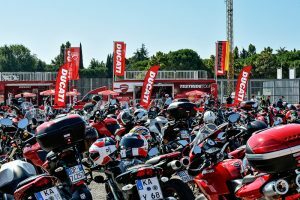 Summer, Italian style, the Adriatic coast, the city of Bologna, the Misano racetrack and the rumble of thousands of Ducati bikes. 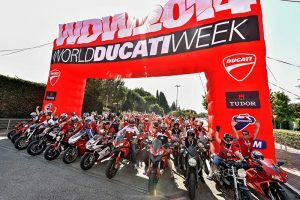 All of this is World Ducati Week 2016 (WDW). Scheduled to take place from 1 to 3 July, this long weekend of bikes, passion, fun and adrenalin brings together fans from all over the world every two years, allowing them to experience the excitement of the motorcycling world’s most engaging party. 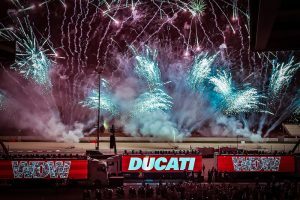 This year, the ninth edition of WDW coincides with the end of celebrations for Ducati’s 90th anniversary. 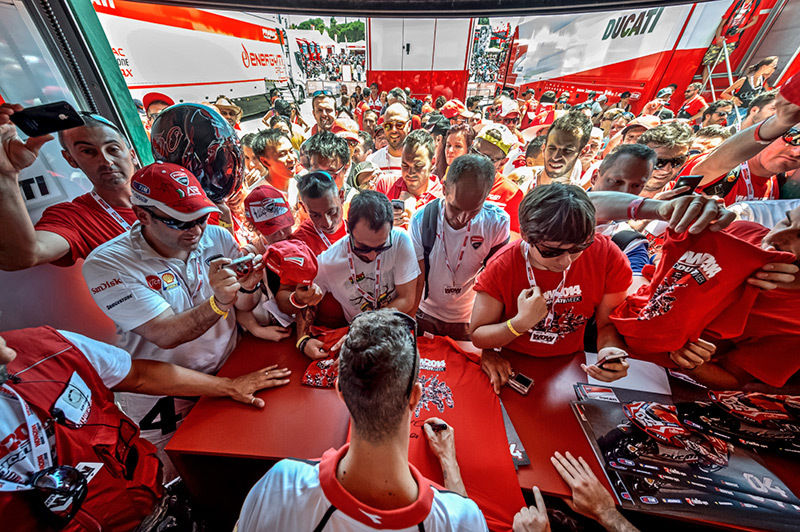 There will be a chance to race on track, discover all of the new bikes in the Ducati range, visit the factory and Museum and meet the MotoGP and Superbike champions along with thousands of Ducatisti. 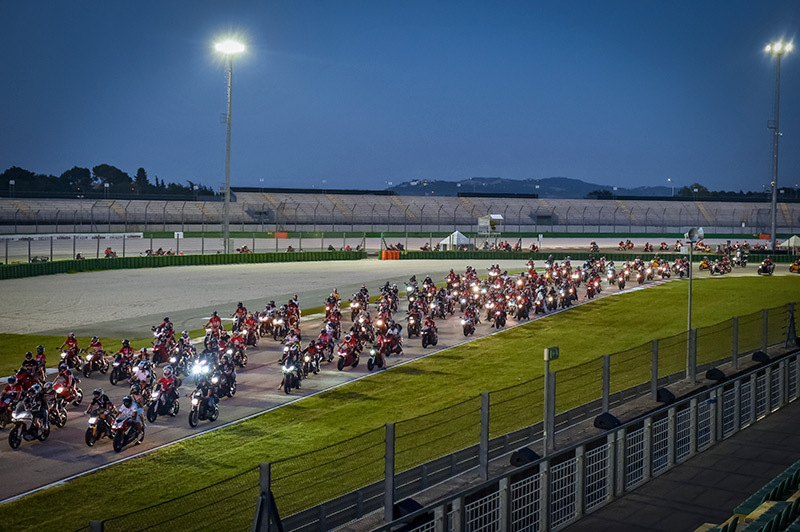 The 2016 edition is set to be packed full of surprises and initiatives that will animate every corner of the Misano circuit, with the MotoGP and Superbike champions, on-track contests open to all, test rides and riding courses, as well as many other competitions, seminars and stunt shows for a three-day event that is dedicated exclusively to the “red bikes” and the bright and vibrant world that surrounds them. 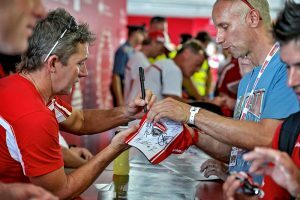 The weekend will also see the highly anticipated participation of special guests, past and present champions, ready to meet with the fans and challenge each other on track. 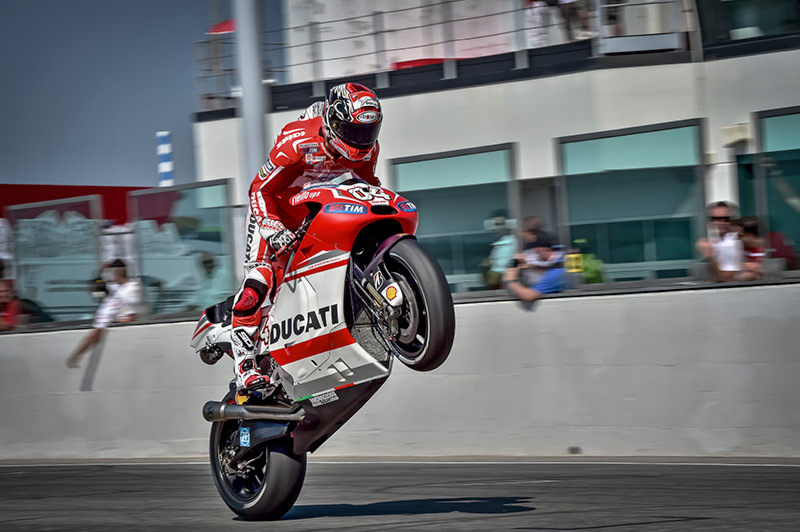 Andrea Dovizioso and Andrea Iannone, the 2016 Ducati MotoGP Team riders, will be in attendance, as will World Champion Casey Stoner, Ducati test rider of the Desmosedici GP as well as brand ambassador as of this year. 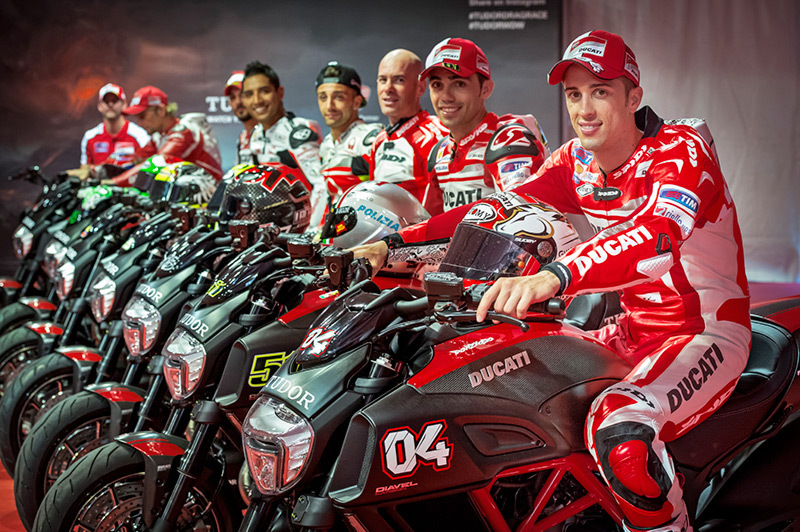 Then there are the Superbike riders Chaz Davies and Davide Giugliano together with legendary champions Troy Bayliss and Carlos Checa and many other names, all of whom have contributed to making Ducati’s history in the racing world such a great one. But WDW2016 is, above all, a huge “red party”, fun, exciting, engaging, and an unrepeatable opportunity to enjoy unique experiences first-hand. Climb on new bikes in the 2016 Ducati range, such as the Multistrada Enduro, and receive advice to improve your style, bike control and riding technique in safety during the track and off-road riding courses with the professional instructors of the famous Ducati Riding Experience riding school, available throughout the weekend. Those who prefer a more relaxed pace can experience the “low speed excitement” of the XDiavel, the new Ducati cruiser, available for test rides. WDW is not just bikes, as there is also room for supercar lovers, who will have the chance to experience on-track adrenalin in the shape of an Audi or Lamborghini, with the brands offering test drives and entertainment in dedicated areas. 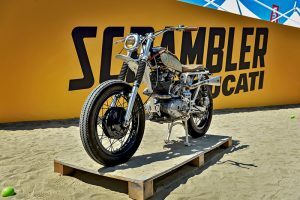 An event within the event, WDW2016 will host the first bike meet dedicated to the world of the Scrambler, the new brand that represents a true lifestyle, a bike with which to recount your own personal style. The Land of Joy is colourful and fun, and the dedicated yellow area presents the brand new Flat Track School, a riding course for those who love to slide, with expert instructors and professional riders. 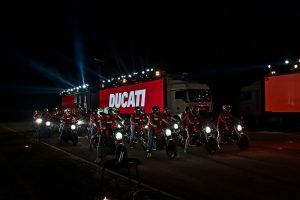 There are also on-track contests and shows with the first edition of the “Ducati International Bikers Games”, the bike-olympics dedicated to participants, with teams challenging each other as they take on tests of every kind, and spectacular shows by the motorcycle world’s best-known stuntmen, such as Emilio Zamora. 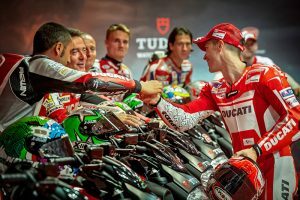 Those enamoured with their Ducati special cannot miss out on the two dedicated “beauty” contests, with the Ducati Garage contest, which recognises bikes created by amateur customisers coming from all over the world, and the Ducati Heritage Contest, dedicated to the most beautiful bike among all the historical bikes that will liven up the paddock during World Ducati Week 2016. 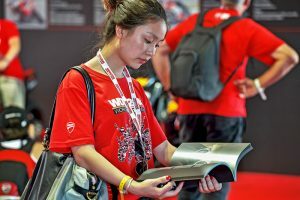 Confirmed once again for this edition of WDW is the Ducati University, a series of seminars and in-depth analysis around central themes such as technology and design, meetings with the Ducati Corse Teams and, within the Safety programme, a first-aid course that highlights how Ducati is ever attentive to social responsibility and safety.